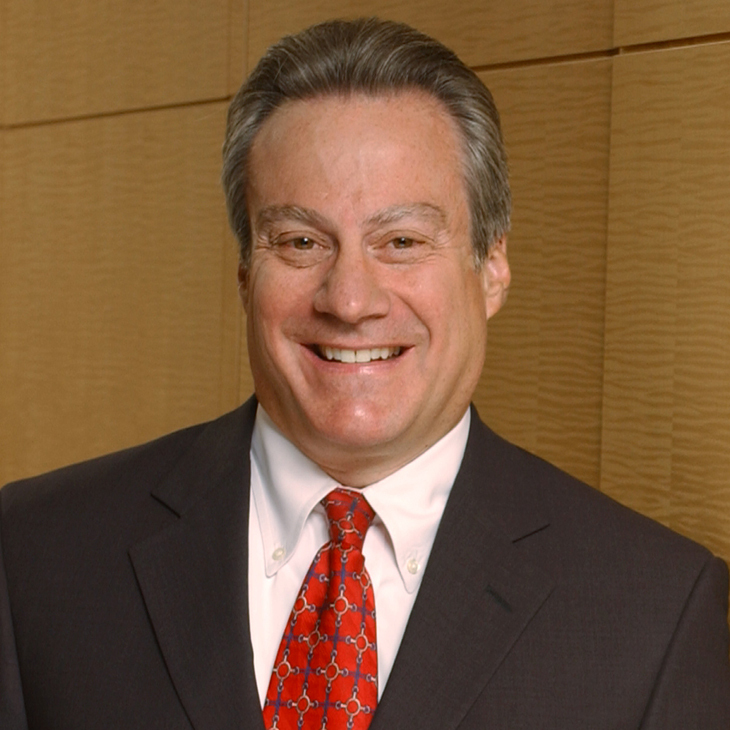 Gordon Bava is co-chair of the firm after serving for a decade as its Chief Executive and Managing Partner. Gordon’s practice focuses on mergers and acquisitions, special committee representation, private and underwritten securities offerings and general corporate representation of clients in a variety of industries. Gordon Bava es copresidente de la firma después de trabajar durante una década como director ejecutivo y socio director. Gordon se especializa en fusiones y adquisiciones, la representación de comités especiales, el ofrecimiento de títulos valores suscritos y privados y la representación corporativa de clientes en una variedad de industrias. Gordon ha prestado estos servicios para espectáculos públicos, compañías de atención médica y servicios públicos, sociedades controladoras e instituciones financieras locales, regionales y multinacionales, bancos de inversión e inversionistas institucionales e individuales. Gordon anteriormente prestó servicios como ejecutivo residente en la empresa Rustic Canyon Ventures, Santa Mónica, California, uno de los fondos de capital de riesgo más grandes del sur de California, especializado en negocios en Internet, servicios empresariales y otras industrias tecnológicas de rápido crecimiento. Gordon Bava é co-presidente da empresa após ter atuado por uma década como diretor executivo e sócio-administrador. A atuação de Gordon está focada em fusões e aquisições, representação de comitês especiais, ofertas de títulos privados e subscritos e representação corporativa geral de clientes de diversos setores. Gordon conduziu esses serviços para empresas de saúde e de entretenimento e serviços públicos, instituições financeiras e empresas controladoras locais, regionais e multinacionais, bancos de investimento e investidores institucionais e individuais. Anteriormente, atuou como executivo residente na Rustic Canyon Ventures em Santa Monica, Califórnia, um dos maiores fundos de capital de risco do sul da Califórnia, com foco em negócios na Internet, serviços comerciais e outros setores de alto crescimento ligados à tecnologia. Its public offering of common stock of $35.2 million. Its $30 million sale of common stock. Bank Holding Company reorganization and listing on NASDAQ. The defense of a hostile proxy contest. B. Riley & Co. as placement agent in an offering of up to $35 million of convertible preferred stock of BofI Holdings, Inc., the parent of Bank of Internet USA. Belvedere Capital Partners in its investment in a troubled portfolio company and the liquidation and distribution of its other portfolio investments. Cathay General Bancorp in connection with an at-the-market public offering of 3,490,000 shares of common stock. Central Pacific Financial, Inc., in a successful $425 million non-negotiated, cash and stock takeover by CPF of CB Bancshares, Honolulu, Hawaii. The $260 million ownership transfer of the nation's largest Chinese-American bank within six weeks. A $97 million public stock offering. The $10.4 billion acquisition of United Commercial Bank. The $143 million acquisition of Desert Community Bank. A private investment in public equity of common stock for $30 million. The public offering of 200,000 shares of 8% non-cumulative perpetual convertible preferred stock, Series A. A $76 million offering of common stock. The $268 million acquisition of Texas-based MetroCorp Bancshares, Inc., the holding company for MetroBank, N.A., and Metro United Bank. Encino State Bank in its $33 million acquisition by Boston Private Financial Holdings. Evergreen Financial Holdings, LLC, in its $13 million investment in Golden Coast Bank. A $300 million initial public offering for People's Choice Bank. The $96 million initial public offering of HomeStreet, Inc., the parent holding company for HomeStreet Bank, a 90-year-old savings bank based in Seattle, Washington. First Community Bancorp as the issuer in a $60 million Rule 144A private placement of trust preferred securities. Hanmi Financial Corporation in connection with a combined $120 million registered direct and underwritten rights offering. Manhattan Bancorp and Bank of Manhattan in their merger with Professional Business Bank to create a combined bank with assets of more than $406 million. Manhattan Bancorp, the parent of Bank of Manhattan, is the surviving holding company, while shareholders of Professional Business Bank's CGB Holdings will own more than half of the combined entity. Pacific Capital Bancorp in connection with a successful recapitalization transaction involving a $500 million investment by a subsidiary of Ford Financial Fund, L.P., a debt tender offer for approximately $188 million in trust preferred securities and subordinated debt, and the exchange of $180.6 million of preferred stock issued by Pacific Capital to the United States Treasury Department pursuant to the TARP Capital Purchase Program. Placer Sierra Bancshares in its $645 million acquisition by Wells Fargo. Its initial public offering of common stock. A $77 million private placement of mandatory convertible preferred stock. The $22 million acquisition of New York-based United International Bank. The $75 million sale of the Fullerton Bank franchise to Opus Bank, a California-chartered commercial bank, in an all-cash transaction. The sale of the bank's Garden Grove branch to Southland Credit Union. Special Committee of Board of Directors of Pacific Union Bank in connection with a $300 million cash and stock acquisition by Hanmi Financial. Triodos Bank in its equity investment in New Resource Bank's private placement of 1.75 million shares of stock. This investment has increased Triodos Bank's ownership interest in New Resource Bank to more than 20%. Other major investors included Portfolio 21 Investments and the Generation IM Climate Solutions Fund. Speaker, "Are You Ready to Go Public?" Sao Paulo, Brazil, June 2013. Admitido para atuar como advogado na Califórnia. Membro da Ordem dos Advogados do Condado de Los Angeles. Membro da Ordem dos Advogados do Estado da Califórnia, Financial Institutions Committee, Business Section. Membro da Ordem dos Advogados dos Estados Unidos. Presidente (1998) e membro da Diretoria do Public Counsel, o maior escritório de advocacia pro bono dos Estados Unidos. Membro da Diretoria (até junho de 2012) da United Way of Greater Los Angeles, sendo presidente em 2002 do Departamento de Serviços Jurídicos. Membro e presidente (2008-2010) da Diretoria da KCET, a maior emissora pública de televisão independente dos Estados Unidos. Membro do Conselho de Administração da Association of Public Television Stations entre 2007 e 2010. Membro da Diretoria da Fraternity of Friends do Los Angeles Music Center. Membro da Diretoria (até junho de 2005) do Attorneys Insurance Mutual Risk Retention Group. Membro da Pacific Council on International Policy. Co-author, "A Comeback for Tender Offers?" Mergers & Acquisitions: The Dealmaker's Journal, March 2007. Will the Fed’s Approach to Large BHCs Trickle Down to All? First, pessimistic, negative and critical examinations with calls for increased capital and other remedial action.